We’ve talked about Addappt before, as one of a growing number of apps that are made in the US, but targeting India first. 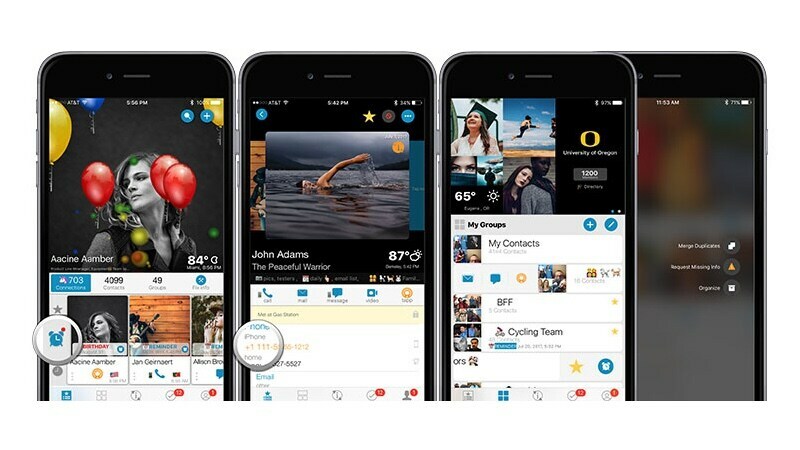 Addappt is an app that turns your bland contacts app into one with rich cards, sends notifications when contacts change their numbers, and allows you to set quick reminders for certain groups of contacts. If you find the default contacts app on Android or iOS to be limited, then Addappt will definitely appeal to you, as it simply builds on your existing contacts data. The biggest concern anyone should have with any app that accesses your contacts is whether it stores them on external servers. Addappt prides itself on focusing on your privacy. It doesn’t store contacts on its servers at all. 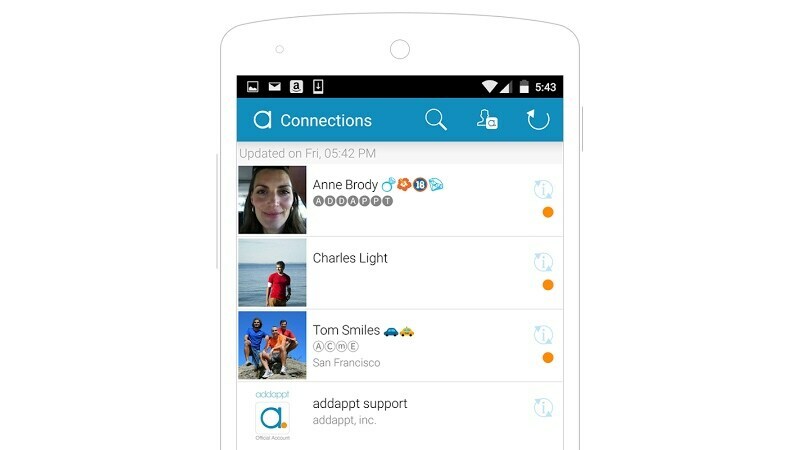 Addappt is not an app that backs up your contacts. They are still stored on iCloud, Google, your device, or whichever service, if any, you use to sync contacts. This app adds a lot of flourishes to your contacts and helps you stay on top of changes in contact details. Changes you make in Addappt — such as creating a new group, updating contact information, and so on — immediately reflect in your phone’s address book. So why should you install Addappt? It’s because Addappt lets you add other Addappt users as “connections”, and they can then choose to share contact details with you. Without contacting them, you can see their date of birth, phone numbers, email addresses, or even the time at their current location (as long as they’ve specified their country/ city). When contacts who are using Addappt change their phone numbers, or update any other contact data that is shared with you, the contact’s details are updated automatically on your phone as well. The app also automatically reminds you about birthdays and anniversaries, fixes duplicates in your contacts, and allows you to request your contacts for missing information, such as their work email address. Addappt also has a one-tap messaging system in place, called Tapp messages, which is the equivalent of emoting in games chat. It lets you send in template messages such as “Super picture”, or emoji, with a single tap. This is a nice way to quickly send a text and it allows you to type a 100 character message too. We checked out Addappt on iOS and found the app to be quite useful. There are a lot of features in here that may not be apparent initially. When you create a group, a carousel of profile pictures of the people in the group appears at the top. This is one of the nice design touches in the app that makes it much better than a bland contacts app. The app also lets you quickly add people to a group via keywords. So if you wanted to add a bunch of people who work at NDTV to a work group, you could just search for “NDTV” and quickly add all contacts who have that word in their name, or under the company name. However, there are certain design elements that we feel could be a lot better. The app uses tiny icons at the top for key actions, such as creating new icons and adding them to a group. We feel that the size of these icons should be bigger as they are hard to hit. Some of the icons used in the app don’t necessarily represent the actions you want to execute. For example, when you are inside a group, you’ll see a pencil icon at the top. This is where you add more people to the group. Initially we tapped the three dots icon and tapped the “Add” button to add people to the group and this turned out to be the option to add a new contact. Similarly, when you hit the Share button, it shows three tiny icons for sharing options and that leaves a lot of empty screen space. Having said that, Addappt makes good use of the swipe gesture. Swiping towards the right on any contact reveals three options — call, message, or send a Tapp message. Swiping towards the left reveals the favourite and remind buttons. The remind feature is particularly useful — you can quickly create a contact group for people you play cricket with, and the reminder can serve as an alert for you to call them, or to leave home to make it on time. These are just like regular reminders you can add with your calendar or a to-do app, but Addappt makes it easily to add reminders associated with specific contacts. Another neat touch is that Addappt lets you share your contact information with people who don’t use the app, via text message. When we hit share, it directly opened the Messages app and let us share the contact via email, SMS, or iMessage. However we feel that the app needs to add support here for more apps, such as WhatsApp. Lots of people don’t even check their text messages anymore, but are active on WhatsApp so that could be more useful for them. The good thing here is that in your own Addappt details, you can tap a button next to each of your numbers, email addresses, or other contact information, to make it private. When you share your contact details with others, details you marked as private don’t get shared. Addappt is a nice app that blends in seamlessly with the stock contacts app on your smartphone. Its focus on privacy and rich contact cards are pretty good and these things make us recommend the app. At the moment it is totally free on both Android and iOS but Addappt plans to charge people for some of these features from 2018. If you sign up before that, you can continue to use the app for free.